Eh, oops! Behind again. I think I need to stop apologizing for it, as I’m sure my readers are like “blah, blah…will be on time next time”….yeah right. Anyway, Paola and I were the May team and despite being the one to SEND the kids, I somehow managed to not even get my own created. But, she’s done now! And, I had so much trouble selecting WHICH image to work with, that I just said “what the heck, use both”. 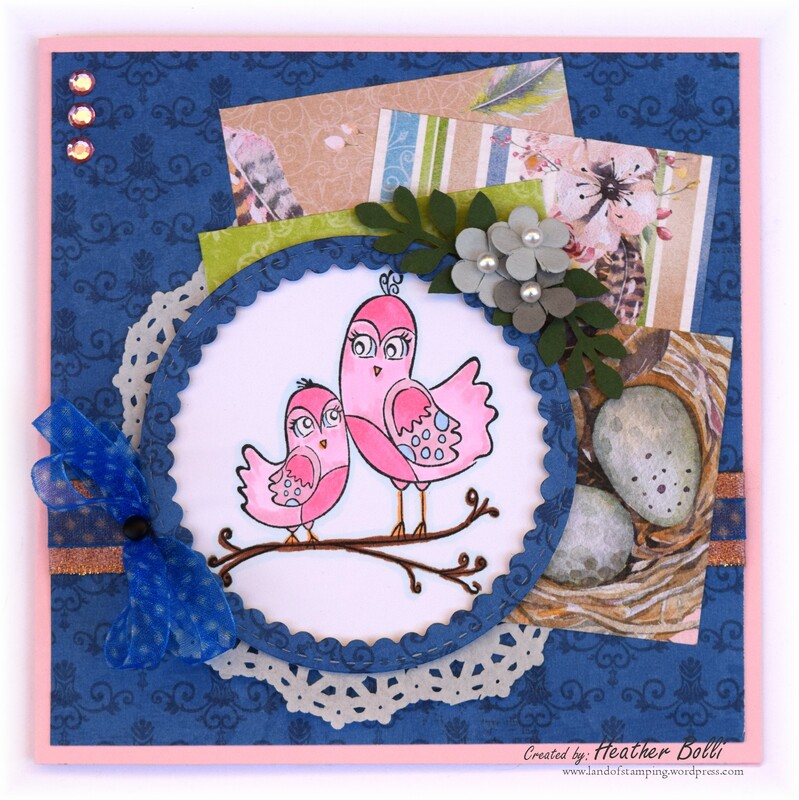 Here are my two cards from our Tweet Spring kit. Both images are from Prickley Pear Rubber Stamps. I should mention that I have been sketch surfing again, so while I am never quite sure where these sketches are from, chance are if it looks like yours it is….thanks for the inspiration! And, this months’ kit came a day before deadline from Carol. The theme was Everything Is Coming Up Roses. I decided to go mostly black and white, with the exception of my card base and the image itself. And, the papers in the kit were beautiful, so I couldn’t help but play again! 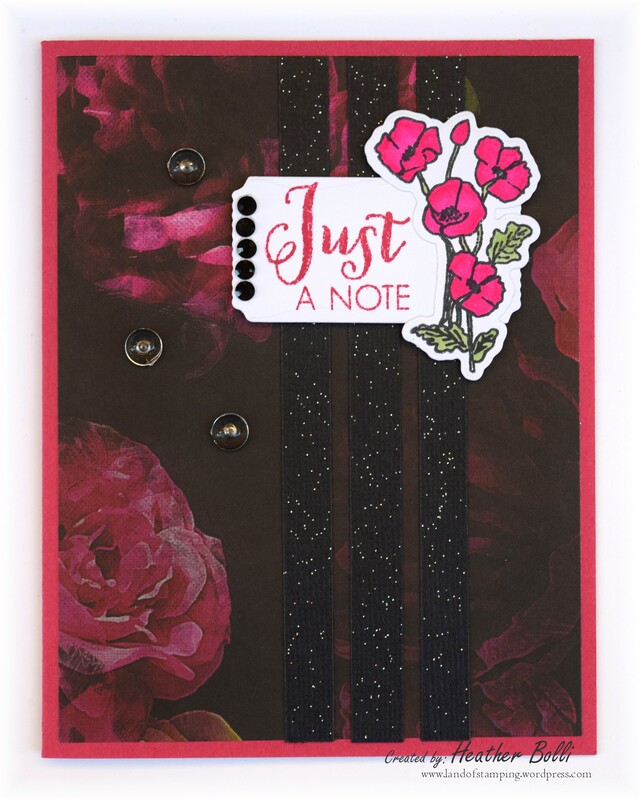 I debated using another rose image but I actually JUST received my order from the soon-to-be-closed Verve stamps, so I decided to play along with my new stamp set instead. And, that finally catches me up on the Dueling Darlings (until at least July 15th, right). Thanks for all the inspiration, teammates! 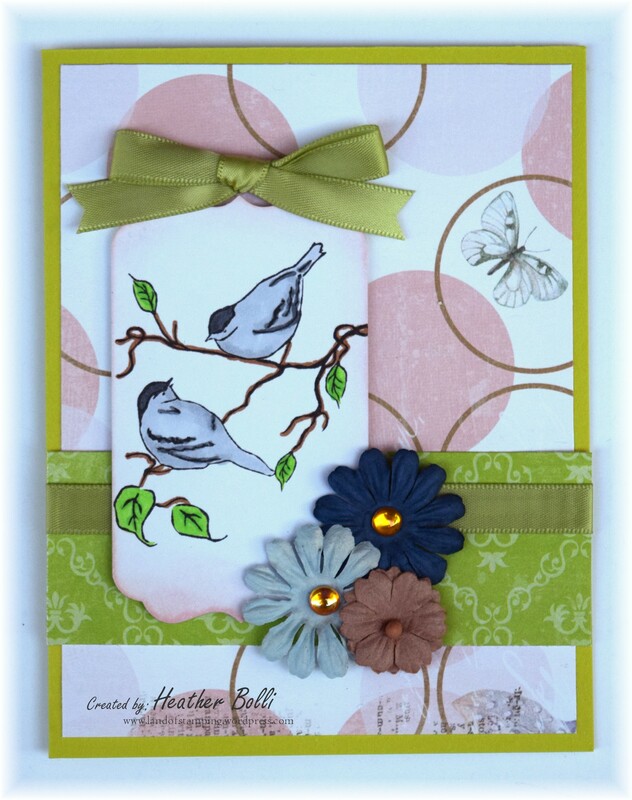 Such pretty cards, Heather! You dueled beautifully! Oh my goodness Heather you so rocked this challenge. 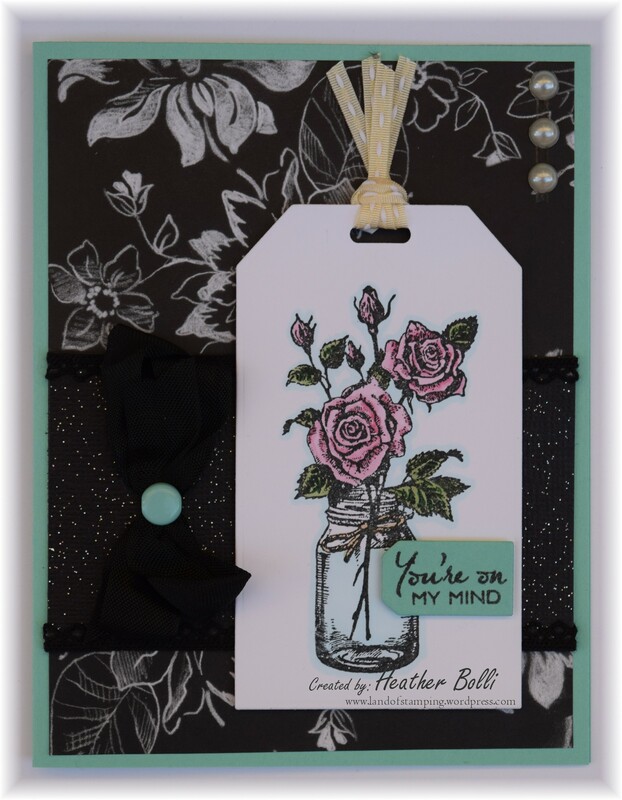 I love both of your cards made with items from the kit…GREAT JOB!!! The tag turned out so pretty! I really like the ‘lil sentiment on the tag. Great job this round!